Greenchurch Developments specialise in building luxury Care Homes and Commercial Buildings in the East and West Midlands. 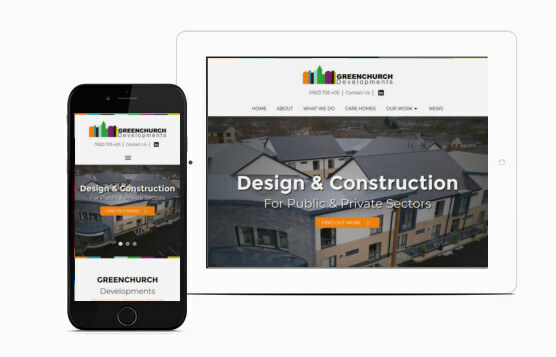 Greenchurc were looking for a new website to move their old web presence onto a more professional look that matched the growth of the company since it's first website was built. The new design needed to allow growth of case studies and services in a way that did not effect the structure of the design. 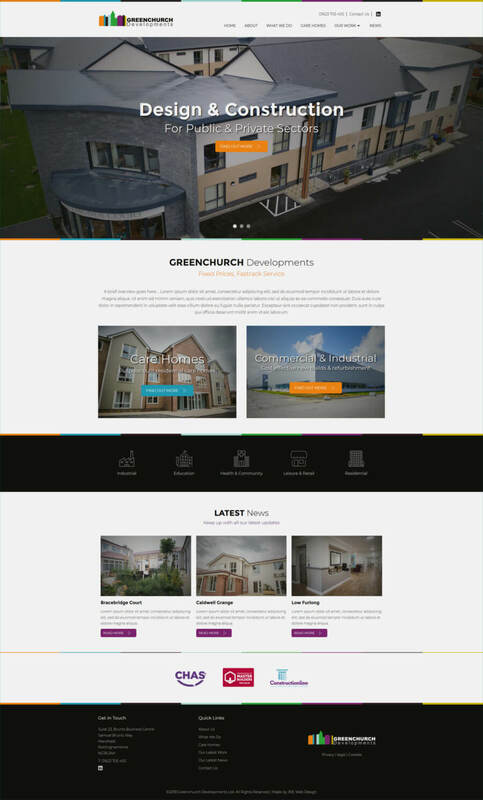 Using the Greenchurch Developments logo as a design element we incorporated the colours subtlety into the design and made the most of the fantastic images available. The use of animation and white space gives a professional feel whilst the core structure and navigation remain easy to use on all devices. Creating a bespoke WordPress theme the site has the ability to easily expand content covering case studies and news articles. All our websites are delivered as standard with responsive code and SSL Certificates for a secure website. We ensure each website passes mobile friendly tests and is fast. With search engines now indexing pages via mobile first we ensure every site meets the required standard.